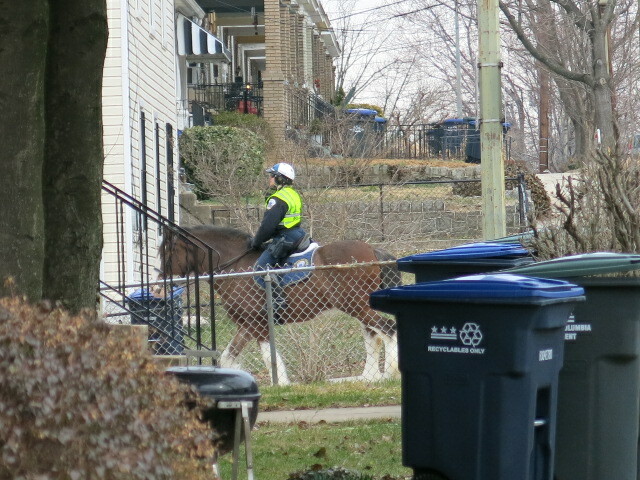 Just an unexpected sighting – cops walking a foot patrol at 12/ E Cap SE and I saw another one at 12/PA Ave SE. Seems friendly and proactive – checking stores and talking to neighbors out and about. Ed. Note: I read my daughter a book every night called Clip Clop Clippity Clop and last week as I was working at the computer I start hearing clip clop clippity clop and I just thought I was going crazy reading the book so many times. Thankfully, it really was a horse. Anyone else noticing more MPD foot patrols/general higher visibility?